Kim Lutz is a vegan cookbook author who loves to focus on the natural nutrition and deliciousness of whole foods. Her book Super Seeds was a big success, with pure flavorful recipes like Granola Cookies and Creamy Golden Corn Soup. And now, Ancient Grains is taking center stage. 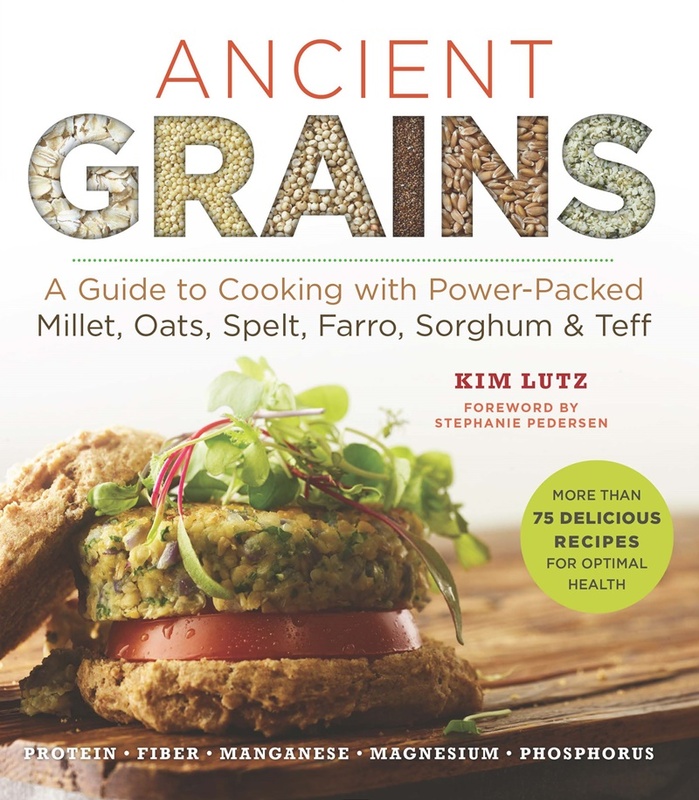 It’s a guide to cooking with “power-packed” millet, oats, spelt, farro, sorghum and teff with over 75 healthy recipes. 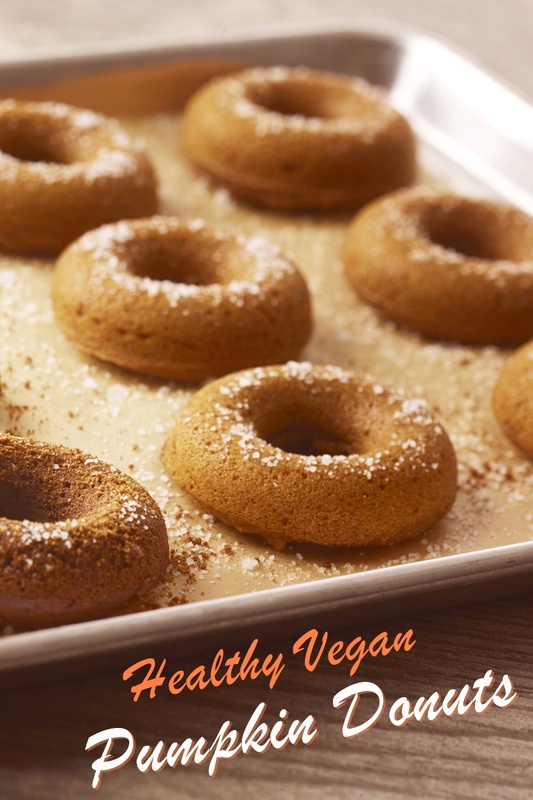 To help you decide if Ancient Grains belongs on your bookshelf, I’ve got some details about the book and a sample recipe from it for vegan pumpkin donuts! Ancient Grains starts with a full overview on ancient grains, including the history, health and basic preparation of each. But the information doesn’t stop there. Kim includes tidbits of knowledge throughout the book, intertwining them with the recipes. I simply love it when authors do that! Also, Kim’s recipe style is very simple. She doesn’t use extensive ingredient lists, and keeps her instructions succinct. For those reasons, I highly recommend Ancient Grains for both beginner and intermediate home cooks. By ingredients, this recipe is dairy-free / non-dairy, egg-free, optionally gluten-free, nut-free, peanut-free, soy-free, vegan, plant-based, vegetarian, and generally top food allergy-friendly. Just be sure to pick the dairy-free milk beverage that works for your dietary needs. Pumpkin isn’t just the unofficial flavor of fall, it’s also really good for you. Pumpkin, like other winter squashes, is an excellent source of vitamin A, vitamin C, and vitamin B6. 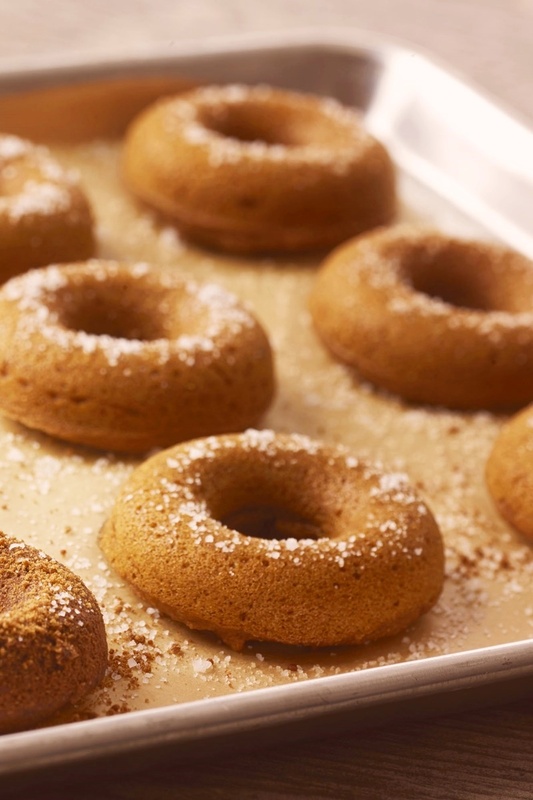 Pumpkin donuts are a fun way to celebrate the flavor of the season when the weather starts to get cooler. If you need gluten-free donuts, simply substitute oat flour and sorghum flour for the spelt flour, as noted below. Preheat the oven to 350°F (180°C/gas mark 4). Lightly oil a donut pan or muffin tin. In a medium bowl, whisk together the flour, 1¼ teaspoons baking powder, salt, nutmeg, and cinnamon. In a large bowl, combine the pumpkin with the remaining ½ teaspoon of baking powder. Mix the sugar, milk beverage, vanilla, apple cider vinegar, and ¼ cup olive oil into the pumpkin mixture. Add the flour mixture to the pumpkin mixture and stir well to combine. Scoop the batter into a large resealable plastic bag or a pastry bag. If you’re using a plastic bag, seal it and snip off a bottom corner of the bag. Pipe the batter into the donut or muffin pan, filling each cavity ⅔ full. 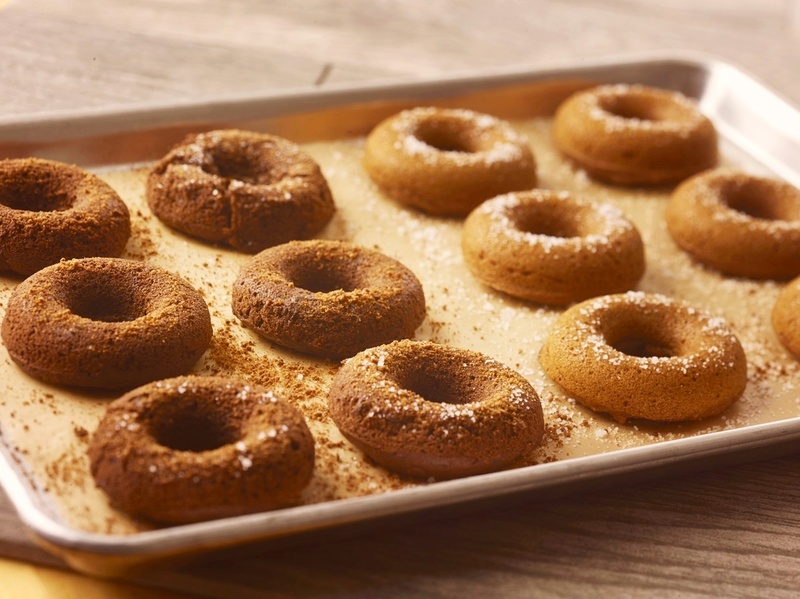 Let the donuts cool in the pan for 5 minutes before gently removing them to a cooling rack to cool completely. 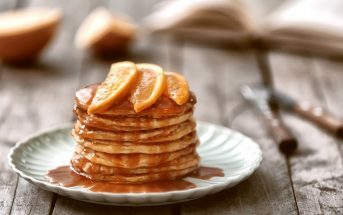 For Gluten-Free: Substitute ¾ cup (25 g) gluten-free oat flour and ¼ cup (30 g) sweet white sorghum flour for the spelt flour. Credits: This recipe has been reprinted with permission from Ancient Grains © 2016 by Kim Lutz, Sterling Publishing Co., Inc. Photography by Bill Milne Photography. These look absolutely amazing! I love this book so much – it is just packed with great recipes. This cookbook sounds incredible. I will have to check it out. These look delicious and my family loves donuts! 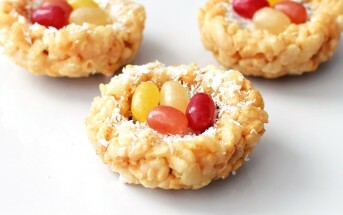 I would make them this week but I think I would be too tempted, maybe next week! 😉 I love that you can do muffins or donuts. I would be making mini donuts since I don’t have a standard donut pan. Ooh, mini donuts would be so darn cute Sarah! This is the perfect fall perfect! Yum! Looks amazing! A perfect way to “ring in” pumpkin season! Thank you, Alisa, for this lovely review! You are such a great supporter! Man, these look good! Time to start getting into the pumpkin treats!